Nestled against the backdrop of Florida’s nature coast, the Island Place is a romantic getaway showcasing the natural beauty and serenity of a secluded tropical isle. 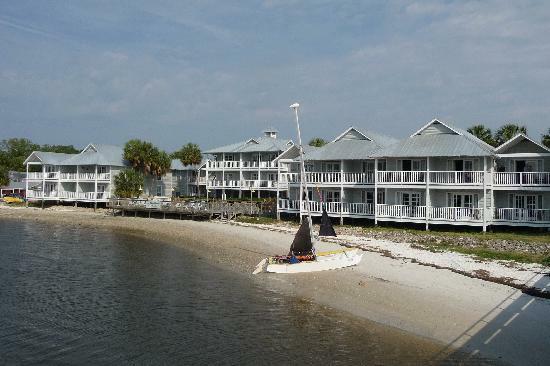 Our beautiful condos are located in Cedar Key directly on the Gulf of Mexico amid a true nature preserve, swaying palms and warm Gulf breezes. Renew the spirit and stir the soul in a paradise of tropical splendor. Whether you are looking for a romantic getaway or a fun and exciting vacation destination, we will fill and exceed your expectations for comfort and location. The complex is designed to lend itself to the historical flavor of Cedar Key. We are next to the city marina, and just a few steps away from fine restaurants, shopping and grocery store.